Smart meters are arriving — should we care? Almost everywhere I’ve been lately it seems like I see billboards proclaiming that smart meters are coming. The advertisement makes it appear like this new technology is going to somehow make my energy supply better. But will it? 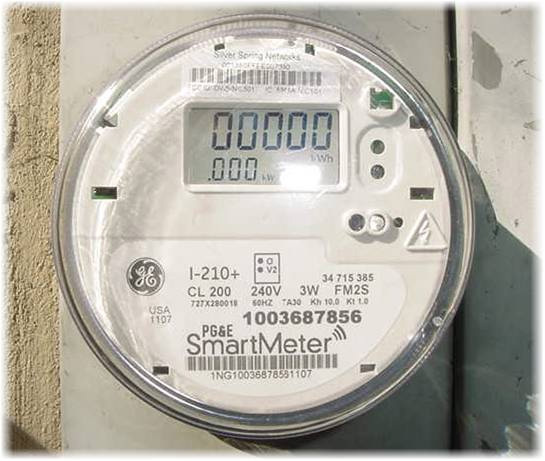 The older meter technology that’s been around for more than 40 years had a round disk behind the glass that would spin faster as our rate of electricity consumption increased. The meter counted the number of times the disk made a rotation and it displayed the count on a series of dials. Once every month, a real person would walk through the neighborhood looking at the meters and taking note of these numbers, and we would receive an electricity bill in the mail based on the number of times the disk rotated in the meter. The new technology — these “smart meters” — are a little more sophisticated. They still read the amount of electricity we use — not on a monthly basis, but now once every 15 minutes. This information is transmitted directly to the power company. So, no more will you see people walking through your neighborhood writing down readings. Is this a benefit? Well, the utility company’s new ability to see your energy consumption at 15-minute intervals will allow your utility company to charge you a higher rate for electricity you use during times when demand is high, and a lower rate during times when demand is lower. Of course, this is also an opportunity for you, the consumer, to game the system. You can elect to run your dishwasher, for example, during the night when the rates are at their lowest. Other benefits these new meters bring? The power company will know automatically if your power goes out. If the meter stops transmitting data, then the service department will know right away that they need to look into the cause. Also, some utility companies will give you access to your own data and allow you to compare your energy usage to the average amount of energy your neighbors have used. If you’re the type of person who wants to know this information so you can make decisions on how you use electricity, then you will perceive a benefit. Will smart meters save you money? Most experts don’t believe so. There is a cost savings to your utility company because they no longer have to pay people to walk through neighborhoods. But whether these savings will be passed along directly to you is not known. There are companies now who have developed controllers you can install on your major energy devices (clothes dryer, dishwasher, water heater, air conditioners, etc.) that will allow you to program them to run during less expensive times of the day based on data that your smart meter has provided to your utility company. I expect that in a few years there will be more devices on the market and I believe that one day these devices will be built into these products so that you will hardly notice that you’re using them. I believe that smart meters will be the very beginning of new capabilities that will allow us to be less wasteful and much smarter about how we use and pay for electricity. But for the near term, they are really nothing more than a new meter. ← Why hasn’t the US embraced offshore wind energy? I will have to check with my energy company to see if they do differentiate between peak use rates and low use rates. My washing machine and dishwasher do have the capability but I’ve never used it only becasue I’ve never seen electrical Co.’s advertize this option for consumers. I also learnt quite abit about how much energy my appliances used from watching my old meter either move slowly or almost take off when the A/C was running or the pool motor was on! Right now my new meter just seems to blink nonsense at me, so I’ve no idea how it’s helping me become more informed.Lastly, back in the 70’s in England, I remember my Mum washing clothes at night when the electricity rates were lower! So who says progress always goes forwards!